Last week’s roundup omitted the Tillain Cup Semi-Final game for the Men’s 2nds in Bedsit Land – mainly because they never told me about it. It turned into a bit of a stroll down the Rathmines High Street as Old Man Whaley’s boys chased 66 to win for the loss of only one wicket. The Final takes place in Civil Service against Phoenix on Saturday 21 July at 5pm, the late start for Old Man Whaley will mean his bedtime cocoa will be a bit delayed. 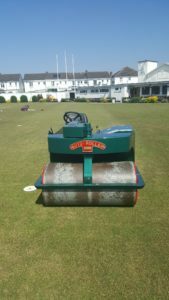 I also missed the YM Salver Semi-Final in Shankill – I knew about this but thankfully a prior engagement on the Sunny West Coast meant I had to forego the delights of a park with no toilets or 30 yard circle markings. The Men’s 3rds could only manage 110 through the long grass and DLR/Dundrum/Cabinteely/ANother got it for 3 wickets. Wednesday evening and the Women’s 3rds dodged the rush hour traffic to, em, Rush but unfortunately were on the wrong end of the result as they lost by 9 wickets. 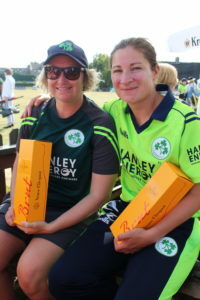 However, they more than made up for that on Saturday morning as an early alarm call of 9.30am for Leinster didn’t faze Carole Cromer or Molly McKay as they blasted 10 off the last over to win their Minor Cup Semi-Final. A similar start time in Rush for the Junior Boys team but unfortunately it was another win for the Russians (Putin must be delighted) despite a good start with the bat as two of our top three retired. Down in the Bay it was also defeat for Fiachra’s 1sts in their Alan Murray game – Lorcan leading the way with another 50. A civilised start time for the Men’s 4ths against Laois had them on the unfamiliar territory of the Junior Pitch as Dale got the square ready for the Women’s International. The good news was that the 4ths hit their top score of the season (Thomas Musgrave batting superbly at this level) but the bad news was they lost by 50 runs. 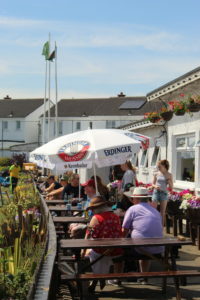 The Sunday morning Dart line trip to Malahide for the Boys Minor A team proved fruitful as they won their Cup Semi-Final. Out in the middle of nowhere (Adamstown) the Men’s 5ths balanced the need to hydrate with the half-mile trip to the toilets as Adamstown hit 240 (after being 93 for 5 – perhaps they had their batting line up the wrong way round) with wickets for Paddy (1), Siawash (2), Harry (1), Jimmy (2) and Prajwal (2). In reply, Praj top scored with 88. Harry with 24 not out and Michael Clarke, on his season debut, with 11 not out were the only others in double figures as the 5ths scored 165. 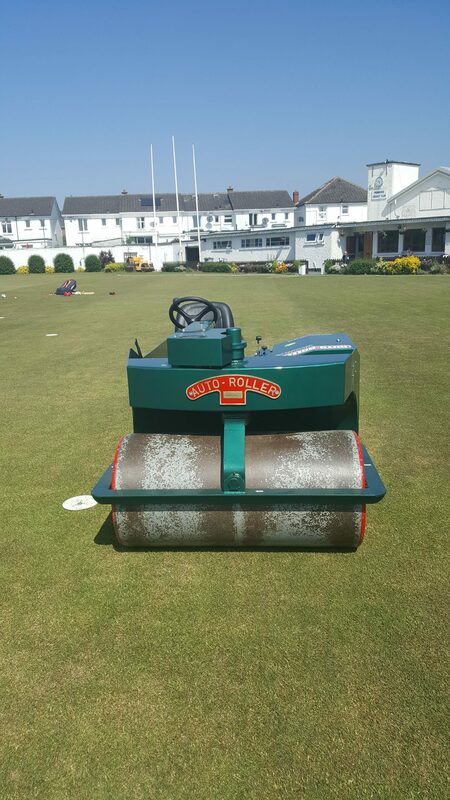 Meanwhile, the Club looked an absolute picture for the Irish Women’s T20 International against Bangladesh with the place buzzing with groundstaff, cleaners, caterers, barstaff and Cricket Ireland officials (with very important laminates round their necks for their very important jobs). The game lived up to the surroundings as Ireland won on the last ball – a fitting send-off for Ciara and Clare in their last home international. We were also honoured with the appearance of two Judges on our benches, as Judge Moriarty was joined at the bar by Judge Murphy (not quite as famous as his grand-daughter Lainey) where they held court and made some bankers a bit nervous. Monday afternoon and a bit of a controversial mix-up for the Girls U15 in their Cup game against a team that will remain un-named. 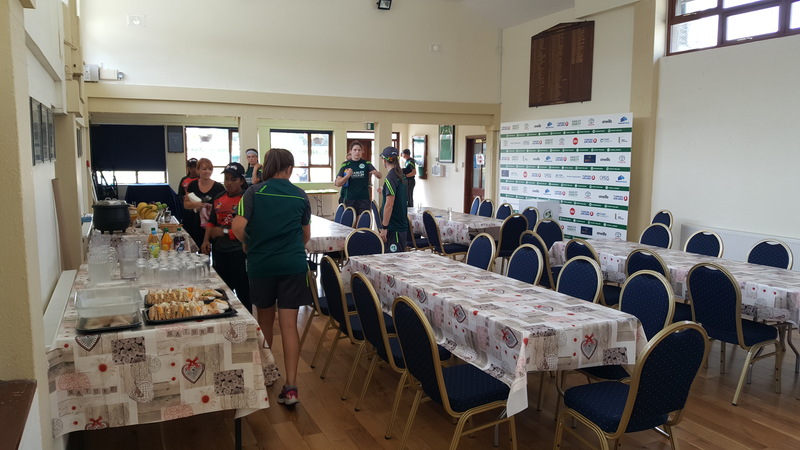 As our Girls visited a bedsit the opposition were waiting in Pembroke (the Cricket Leinster website had us at home but an email from the Cricket Leinster Youth Section had us away!). After a couple of calls, the ‘Broke cars raced back home and we thought we were ready for a game. Unfortunately, our opposition demanded a walkover as the toss did not take place at the correct time(!). Somewhat taken aback we asked their coach if he wanted to stick to this plan of action rather than see the two teams of young girls actually play a game. When this was confirmed we conceded the game but asked to play anyway as that is what our Girls were looking forward to and had trained hard for. Maybe I’m missing something but the idea that Youth games are win at all cost doesn’t sit well and I’m not sure what lessons that other club is teaching its young players. On a more positive note, the Women’s 2nds hopped on the Malahide train where skipper Anna Beale took 5 wickets as Cliona Tucker took a catch with the ‘keepers gloves before taking 2 wickets herself. Chasing 120 to win Cliona hit an incredible 90 not out as the 2nds won in 16 overs. 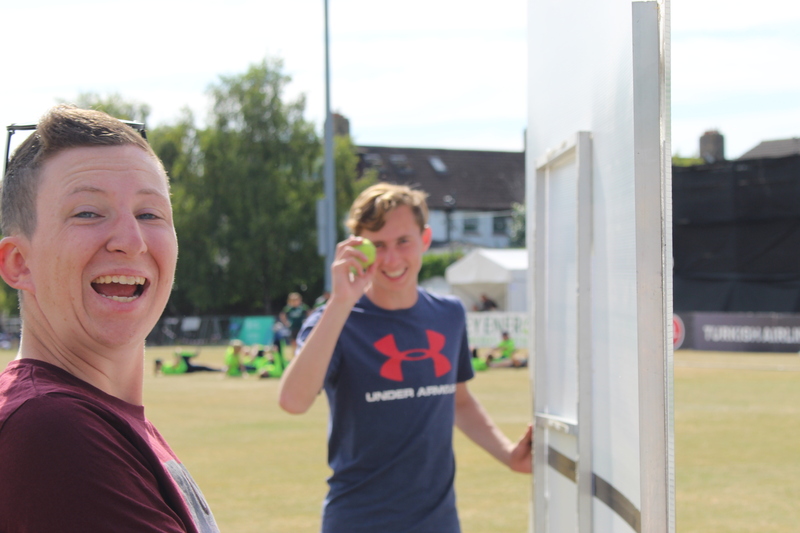 Obviously, Cliona was fed up with the Tucker boys going on about their big scores and decided to go one better by batting, bowling and keeping in the same game – a true all-rounder and deserved player of the match! It’s the Women’s 1sts turn to lead-off on Thursday as they Dart out to Malahide but without Captain Shauna, Kim and Coach Clare who are on Irish duty in the Netherlands. It’s an early start on Saturday morning for the Junior Boys as they head out to the Park for a League game against Phoenix. The Men’s 3rds head to the other side of the Green to take on YMCA in the Quarter Final of the Middle Cup – we await the announcement of who is captain for this week’s game. On Sunday the Men’s 2nds and 4ths hit the road with the former heading for North Kildare while the latter go further on down the road to play Laois again. On Monday, the Junior Boys host Adamstown before the Women’s 3rds try to turn the tables on Rush. Tuesday the Boys Minor B team are home to Merrion while the Boys U17 try to avoid the temptation of all the fast food outlets in Rathmines. Meanwhile, the Women’s 2nds are home to The Hills (are alive) in the League. The Women’s 2nds then have a sleepover in the Club to prepare for their home game against Merrion on Wednesday while the Boys U19 are also home to Leinster. Please do your best to get out and support our teams this weekend. You may have noticed Dale’s new toy (above), if you see Kate McKenna anywhere near it please let the nearest responsible person know. It was Strictly Part 2 on Saturday night as Old Man Whaley broadcast the video from the night onto the big screen. It was great to see the bar packed for the show and the tiaras on show would put a royal wedding to shame – Fiachra setting the trend and we can only hope that he wears it when he bats next. If either Paul Lawson or Kate has your phone number you might consider changing it before one of them decides to ring you at 3 in the morning. 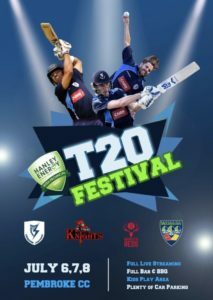 The Club is hosting another series of big games as the Interpro T20 Festival weekend takes place. There are 2 games each day at 11am and 4pm and it all kicks off on Friday. 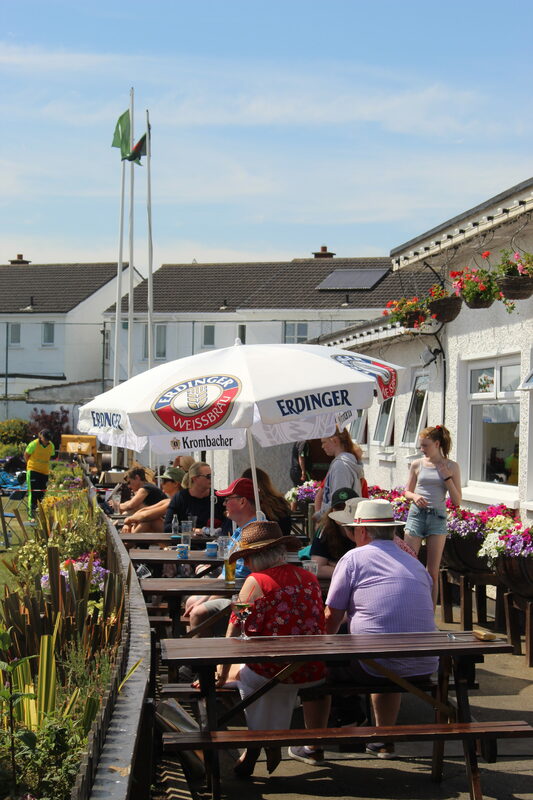 There will be livestreaming of all games with BBQs, bouncy castles, ice-cream vans and all World Cup games will be on the bar TVs. 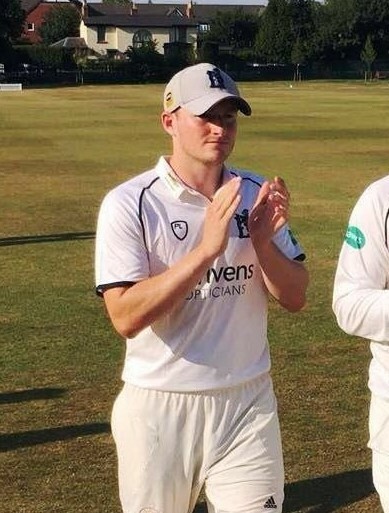 It was great to see David Murphy make his debut for Warwickshire 2nd XI this week and hopefully this is the first step on the County Championship ladder for David!